I’m enjoying the new Naim Uniti series: I’ve already had the Core, the Atom and the Nova through my hands for various reviews, and have been impressed with both the new capabilities and the excellent sound quality, which lifts the performance beyond that achieved by the sector-defining original Uniti models of eight – yes, really – years ago. I was also pleased to see that, like the Mu-so all-in one systems, the new Uniti models could have music sent to them by computers running Roon, which in my opinion is the most thoroughly sorted method of playing music stored on a PC, Mac or NAS. OK, so my initial experience of new Uniti and Roon has been using the AirPlay capability of the Naims, which perforce downsamples anything above CD quality, but all the user-appeal was still there. And that includes the way Roon can combine your own music library and services such as Tidal seamlessly, conjuring up a continuous (and well-matched) automatic playlist based on the music you’ve just chosen; its near-instant acquisition of whatever you’ve loaded onto a NAS without the need for rescans; and its excellent interface complete with album information, reviews and more – and fast, accurate, intuitive search. Now Naim is offering a full Roon Ready status for these new models, via a firmware update confirmed today and due to be available October. Roon Ready will allow the new Uniti models to integrate completely into a Roon system without the need of any configuration, and deliver bit-perfect music playback even from hi-res content. 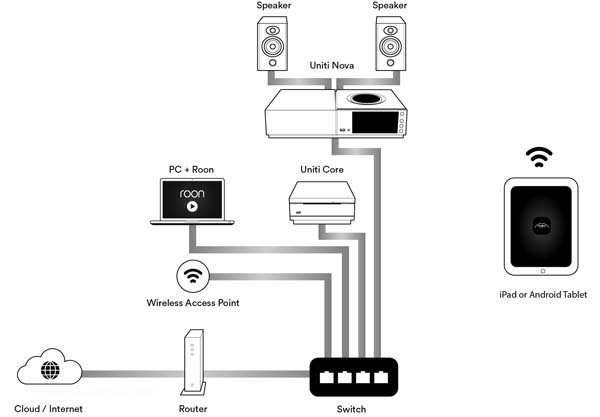 The Roon-equipped Naim appears in Roon’s audio device indication, just as it does when the AirPlay-type connection is being used, but even with the confusion I initially had when the two connections were in place – it took a moment or two to work out which was which, solved by renaming one of the two – it was immediately apparent just from listening that the ‘proper’ Roon connection was by far superior. I’ve been testing a beta version of the Uniti firmware for a few weeks now, and have been impressed not only by how smoothly the Uniti Nova I had to hand operated when fed from Roon, but also by how excellent it sounds, whether with hi-res music up into the realms of DSD or just CD-quality content. I’ve played a lot of music using the Roon/Naim combination, and I’m even more sold on both the software and the hardware than I was before. 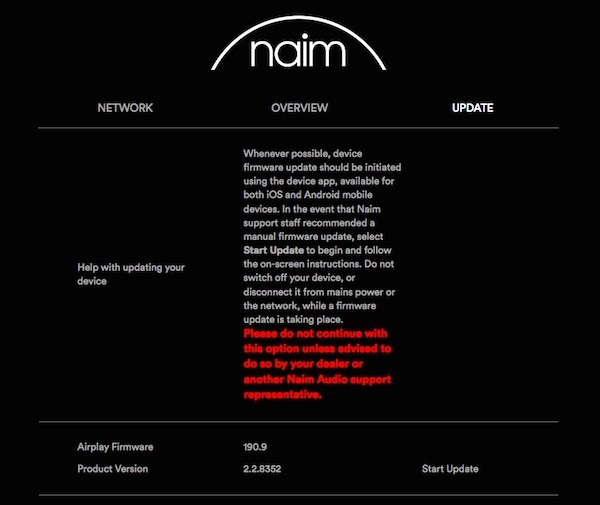 OK, so there was an initial glitch when carrying out the online firmware update, the Nova’s display showing a big warning triangle and an error code, but then as a veteran of updating Naim firmware, I’d be disappointed if there wasn’t some drama! Re-running the update procedure from the web browser interface saw the whole thing work fine second time. And it must be said this new firmware procedure is a whole load more elegant than the processes involved in updating my original NaimUniti and NDS. 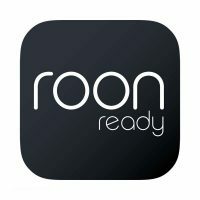 There’s no denying that Roon can seem at first to be rather expensive, at $119 a year or $499 for a lifetime licence, but the sheer flexibility and enjoyment of using it, plus the ability to upsample music and so on, would soon make it a must-have once experienced. I’d suggest that’s a trial well worth taking, especially if you have an extensive music library and also use Tidal. But beware – the whole thing can become very addictive, and may change the way you listen forever! This is cool, but I wouldn’t consider buying anything which isn’t a full MQA renderer anymore. 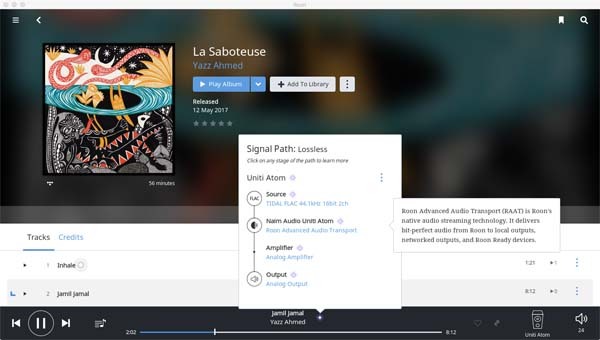 Especially one which is closely integrated with Roon, allowing Tidal’s impressively expanding MQA catalogue to be appreciated in full. Point taken, but not sure everyone’s quite as sold on MQA as you clearly are!